The story of Ananias and Sapphira can make us shudder. It is sobering and rather dark. You can read the account in Acts 5:1-9. People in the early church were generously selling properties and giving to God’s cause and the money was shared with those in need. Ananias and Sapphira were inspired to join the others in blessing the church. They decided to sell some of their property and they pledged that whatever they received from the sale, they would give to the church. At some point along the way, they began to second-guess their decision to give all the money from the sale. Wow, did we really pledge to give all the money from the property? Let’s give some of the money, and keep the rest. That way, we will still appear very generous, the church folk will think well of us, and we can retain some of the funds. They made an agreement that they would pretend that their donation was the entire price of the sale. They forgot something very important: They did not merely lie to the church leadership. They lied to the Holy Spirit. God hates hypocrisy and falsehood. Ananias and Sapphira practiced fraud in their dealing with God. You can read what happened in the Scripture account. “You shall not take the name of the Lord your God in vain, for the Lord will not hold him guiltless who takes His name in vain.” In other words, If I call myself a Christian, it must go beyond a label. A hymn that Christians often sing is All to Jesus, I Surrender. Recently, it struck me that, like Ananias and Sapphira, every time I sing that song I am making a pledge. I am pledging to give Jesus everything I have. But unlike those two unfortunate people above, I pray that I will give Him my all. He gave everything for me. He is worthy of my all, nothing held back, not even 50 cents, not even a half hour per week. He deserves 100 per cent! I will ask God for the grace to follow through with my pledge. I can never out-give the Lord! Those who give all have no regrets. His grace is sufficient. Praise His name! 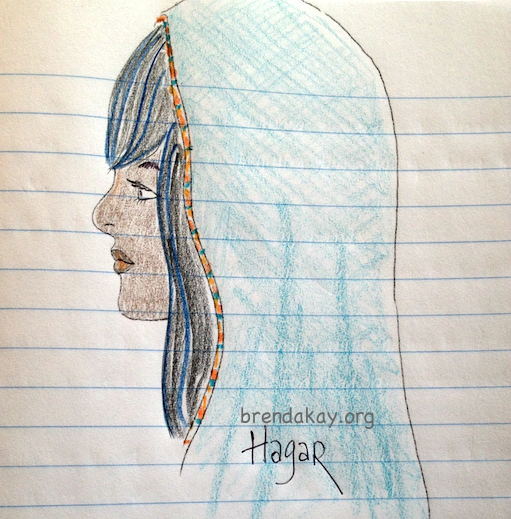 The Biblical account of Abraham, Sarah, and Hagar relates a sad tangle of human weaknesses. Yet God cared for Hagar, and looked out for her and for her son. God looks out for each of us, noting our sufferings and willing to forgive our sins. His longing is to restore us to Himself.